The summer days are quite hard for all the working people, who work hard from dawn to dusk. The hot climate gets harsh on your feet, especially when you are wearing safety footwear, you feel sweaty and messy. Your feet need enough breathability to keep you comfortable in hot weather. Keeping in view the needs of the working person, KEEN Utility is now bringing the warm weather work boots in spring 2013. These warm weather work boots by KEEN Utility are a kind of luxury for all the workers who want to feel safe and comfortable in their work boots. Based in Portland, Oregon, KEEN Inc., was founded in 2003. Keen provides high quality hybrid products, especially for people who have an active outdoor lifestyle. It was launched to provide safe and durable footwear that could change the typical outlook of people regarding safety footwear. Later in 2010, KEEN Utility was launched. This brought matchless durability combined with innovative safety techniques that outdone the safety standards. This caused it to become a leader in safety toe work boots. KEEN Utility aimed at this market with keenness to provide the workers with best work boots for any job. KEEN Utility is also supporting many causes around the globe through its giving program Hybrid.Care. KEEN Utility has launched so many cool designs of work boots for hot summer season. Atlanta Cool provides one of the warm weather work boots, is an athletic silhouette. This work boot has great safety features like steel safety toes, slip and oil resistant outsoles and a fit lace design to provide secure capture. Along with these safety features, these work boots are designed to provide comfort in warm weather with breathable construction, which keeps the feet dry and ensures air circulation into the boots. Albany is also featuring the top-class quality work boots with high breathability for warm weather comfort. These work boots are especially equipped with KEEN.Grip oil and slip resistant outsole. The tire-like drainage channels in Albany provide top-notch safety to wearer by turning away the water and oil from foot and ground contact points. These work boots are delivering comfort and safety to its wearer; the mesh lining leather covering offers matchless breathability and composite toes do not let the wearer weigh down in long working hours of summer. 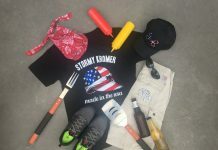 Summer hot styles also include Detroit low-cut work boots, which are also featuring the versatile designs for proper safety and comfort. 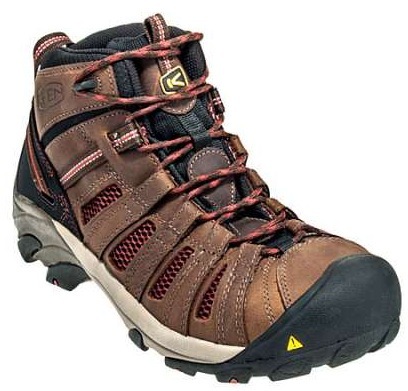 The various features include waterproof leather covering, oil and slip resistant outsoles, reflective webbing, removable metatomical dual-density EVA foot-bed, a dual-density compression molded EVA midsole, steel toes, torsion stability ESS shank and heel lock for perfect contour make these boots even more adaptable. Flint work boots are also offering protection with comfort for the long summer days. These modern mid and low-cut work boots are ensuring high breathability through mesh lining and waterproof nubuck leather covering. The colorful laces add great fascination to these classic outdoor work boots. Steel toes and non-marking, slip and oil resistant outsoles provide safety and support for almost all kinds of jobs. Work does not stop and worker does not weary in long hot summer days, just because of these highly breathable and comfortable work boots by KEEN Utility. 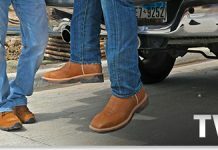 These work boots are available in wide range of sizes, colors and styles for both men and women at WorkingPerson.com.